MIDLAND, Texas (April 13, 2019) - Christian Lopes went 4-for-5 with a home run and four RBIs, helping the Frisco RoughRiders rally to knock off Midland 5-4 and record the club's sixth consecutive victory. 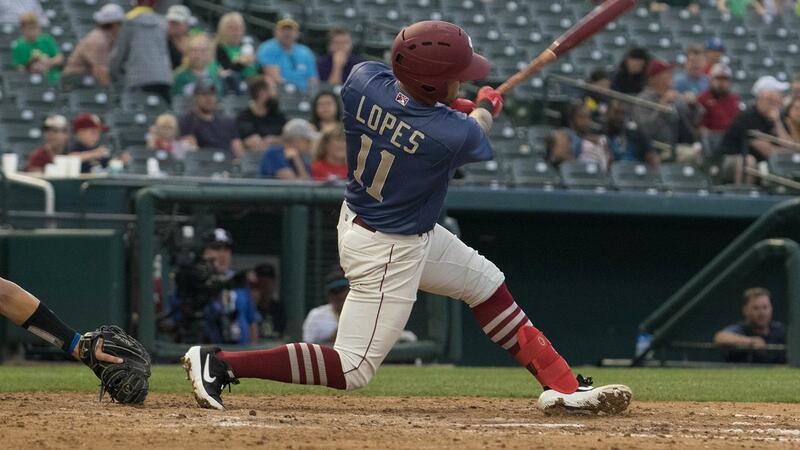 * Down 4-3 with two outs in the ninth, Lopes delivered a go-ahead, two-run single to put the Riders ahead for good. He also got the scoring started with a solo home run in the fourth and an RBI single in the fifth. * After giving up four runs on eight hits in the first three innings, starter Joe Palumbo retired 10 of the final 12 batters he faced, striking out six of them. Between Palumbo, and relievers Yoel Espinal and Blake Bass , Riders pitching finished the night by retiring 19 of the final 23 batters faced. * Lopes recorded the eight four-hit game of his career and fell one shy of his single-game career-high in RBIs. * Riders pitching struck out 12 RockHounds Saturday, recording the club's sixth double-digit strikeout performance in the first 10 games.